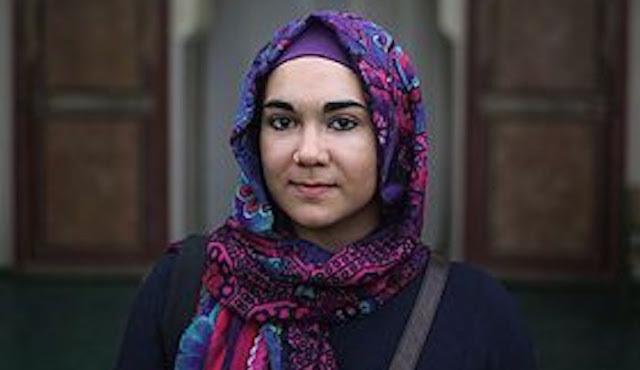 Jihad Watch : The insufferable whiner Ruqaya Izzidien looks rather pale for someone who complains about “the melanin-deprived Durham University” and insists: “I did everything they tell young brown kids to do,” as if non-brown kids never had to be a prefect, or captain teams, or wear ribbons, or attain high grades, or participate in after school activities. Poor Izzidien had a positively miserable childhood in Wales, with boorish, insensitive non-Muslim Britons constantly asking her questions that positively wounded her. If only she had been born to an easier existence, such as being a Christian in Pakistan or Nigeria. In any case, what she says about integration is already coming true in Britain, and will accelerate. “Immigrants don’t need to integrate, you do,” by Ruqaya Izzidien, Al Araby, August 29, 2018: There’s no such thing as integration for immigrants and their descendants. Growing up in rural Britain – Wales, to be precise – I was the poster child for immigration. My teachers liked me, I was a prefect, I captained my team in the Eisteddfod – an annual traditional Welsh competition. I won ribbons on Sports Day, attained high grades and did after school activities. I did everything they tell young brown kids to do. It never occurred to me that I was the only one who considered myself just like everyone else. But once I was far enough away, several years later, somewhere between Cairo and Gaza, after a Facebook exchange with an old classmate who told me magnanimously that he knows I’m a good person so I don’t need to apologise for whatever it was that some Muslim had done, a file opened in the back of my mind. For months it began to fill with memories I’d shrugged off, pooh-poohed or not given a second thought to at the time.